The V&A Museum in London has recently opened a new exhibition looking at Winnie-the-Pooh, and offers education to coincide with it. Due to run until 8th April, the new exhibition is reported as the UK’s largest ever exhibition on Winnie-the-Pooh, A.A. Milne and E.H. Shepard. Winnie-the-Pooh: Exploring a Classic is a ‘multi-sensory, playful’ exhibition that will explore the magical world of Winnie-the-Pooh –reported as one of the most popular fictional characters of all time. And there’s plenty on offer to tie in with education for schools. A session called The Make-it: Mini Picture Book will involve Illustrator Loretta Schauer running a series of workshops to encourage children to create their own characters and stories using their favourite toys and inspiration. The session will be available between 12th and 16th February in the Sackler Centre for arts education. 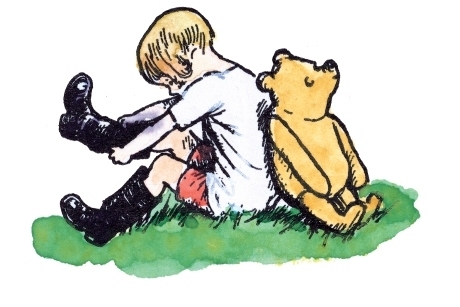 To mark World Book Day, schools and teachers can visit the V&A, dressed as their favourite character from Winnie-the-Pooh for storytelling sessions and a special School's Exhibition Day. This will take place on 1st March. In addition, an Introducing Children’s Illustration workshop can be booked between 24th and 25th March and will involve illustrator Christyan Fox teaching participants how to create their own storyboards and finished illustrations to bring characters to life. Schools visiting will discover the real people, relationships and inspirations behind the charismatic bear, and a world representing friendship, simple joys and the curious yet gentle nature of a child’s imagination. There will be a focus on interplay between text and illustration, shedding new light on the creative collaboration between Milne and Shepard. The exhibition will explore Milne’s storytelling including his use of language, and will also look at how Shepard produced enduring illustrations, combining expressive line with white space. Photo credit: Winnie the Pooh Exploring a Classic, 9 December 2017 – 8 April 2018. With support from the Unwin Charitable Trust. Line block print, hand coloured by E.H. Shepard, 1970 (c) Egmont, reproduced with permission from the Shepard Trust.